Across the country, people from all walks of life are living with alcohol use disorder and alcohol dependence. This is true for one in every 12 adults, as a matter of fact, according to Facing Addiction with NCADD. What’s more, an estimated 623,000 adolescents ages 12–17 had AUD in 2015; one's age has little effect on alcoholism. In the US, alcohol use is legal for people over the age of 21. However, legality does not imply that drinking is safe. Since the practice of drinking often begins in high school, it is critical that experts do more to educate young people to be cautious about their alcohol consumption. Those who start drinking at a young age are more likely to develop an alcohol use disorder and alcohol-related health problems. Facing Addiction with NCADD shares that 40 percent of all hospital beds in the U.S are being used to treat health conditions that are linked to alcohol use. The life-threatening health risks of hazardous alcohol use call for action – to break the stigma of addiction. In doing so, we encourage people struggling to seek treatment and embrace life in recovery. 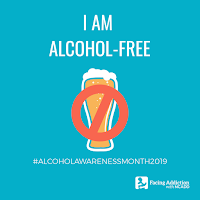 April is Alcohol Awareness Month! 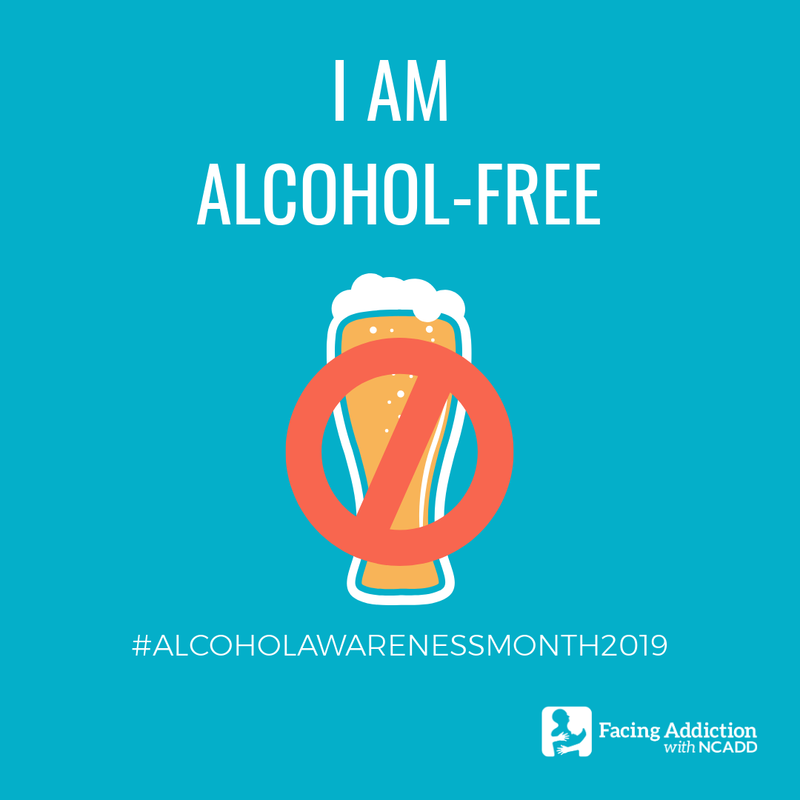 Each April since 1987, the National Council on Alcoholism and Drug Dependence (NCADD) has worked tirelessly to break the stigma of addiction with facts. Information is one of the most useful tools in promoting change! The organization helps communities organize events to educate people about addiction, treatment, and recovery. Many people living with alcohol and substance use disorder don’t know that there is a solution to their problem. Such individuals do not realize that recovery is possible, and it is within reach. Since alcohol use disorder is a chronic and progressive mental health disease, time is of the essence. Men and women who believe they have a problem cannot afford to delay their recovery. While making significant life changes to recover isn’t easy, it is possible, especially with professional assistance. For example, NCADD estimates that as many as 20 million individuals and family members are living lives in recovery from alcohol use alone. Millions more are recovering from other types of addiction. It is also worth mentioning that many Americans may not realize that some of their problems are the result of drinking. Screening for alcohol use disorder has become more common, but we still have a long way to go. Again, since alcohol is legal and intertwined with many men and women’s lives, people risk ignoring the signs. Or, they link employment, family, and social issues to something other than alcohol. One method of gauging a relationship with alcohol is to abstain for a period. Conveniently, Alcohol-Free Weekend is coming up (April 5-7, 2019)! NCADD encourages all Americans to engage in three alcohol-free days. People who attempt and are unable to refrain from drinking this weekend should reach out for further guidance. We must point out that just because someone isn’t able to abstain for three days doesn’t mean they have an alcohol use disorder. Moreover, people can have an addiction to alcohol and still forgo for the entire weekend. There are diagnostic criteria for alcohol use disorder, and an inability to abstain is just one criterion. Anyone who has concerns or is uncertain about their drinking can benefit from speaking with an addiction professional. Please contact The Haven at Pismo if you believe alcohol is disrupting your life. We are available 24/7 to answer any questions and to help you determine if action is required. Our Central Coast addiction treatment center can assist you in bringing about long-term addiction recovery. The Haven is the perfect place to renew to your best today.